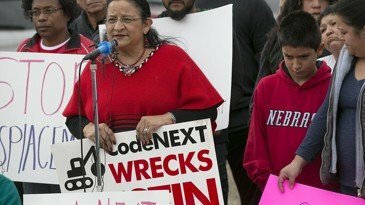 CodeNext was all but bulldozed into rubble Wednesday after Austin Mayor Steve Adler abruptly called for a halt to the comprehensive rewrite of the city’s land development code. The over-budget project has endured numerous delays, but it was the divisive rhetoric surrounding CodeNext that appears to have doomed it. Since the first draft of the revised land-use rules was released in early 2017, CodeNext has laid bare the ideological differences between pro-density urbanists and neighborhood preservationists, who have sniped at one another for months in public meetings and through social media.